Atem is an ancient Egyptian pharaoh who had sealed his own spirit/soul within the mystical Millennium Pendant. ・Includes alternate arm parts for displaying Atem with or without the card holder. ・Display alongside other Yu-Gi-Oh! 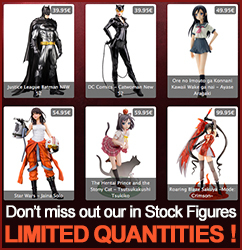 ARTFX J statues from Kotobukiya!